The 1896 Olympic Games took place over a period of 10 days. The Athletics events were the following: 100m, 1,500m, 110m hurdles, Marathon, long jump, triple jump, pole vault, discus, shot put and high jump. On July 17, 1912 – two days after the final race in the 1912 Olympic Games – a conference took place in Stockholm in order to set up the International Amateur Athletics Federation (IAAF). At the 1924 Olympic Games in Amsterdam, the first five events for women (100 m, 800 m, 4 x 100 m, high jump, and discus) were included on the programme. The first events for women were not held until the 1928 Games in Amsterdam when the 100m, 4x100m relay, 800m, high jump and discus were contested. With the inclusion of the women’s 3000m steeplechase at Beijing 2008, the number of events for women across track, field and road events will increase to 23, just one behind the men with the 50km walk the additional event. Paarvo Nurmi of Finland and American Carl Lewis have each won nine athletics gold medals. Nurmi won his Olympics titles in six different events from Antwerp 1920 through to Amsterdam 1928. Two of his gold medals at Paris 1924, in the 1500 metres and 5000 metres, were won less than two hours apart. Nurmi also won three silver medals. Lewis won his Olympic titles in four different events from Los Angeles 1984 through to Atlanta 1996, including four consecutive long jump gold medals. Running events are divided into sprints, middle-distance races, long-distance races, road events, hurdle races, and relays (team races). This is the shortest distance for sprints. Each competitor runs in his or her own lane. The men’s event was first run at the 1896 Olympic Games in Athens. The women’s event was included in the Olympic competition schedule in the 1928 Games in Amsterdam. The 20 m is the modern equivalent of the ancient “stadium” race of 192.27 m. Many 100m athletes also compete in the 200m race, since these two events require similar abilities. The men’s event was included in the competition schedule at the 1900 Olympic Games in Paris. The women’s event made its debut at the 1948 Olympic Games in London. The 400m is the modern equivalent of the ancient “diaulos” race of 2 x 192.27 m. The men’s 400m was first run at the 1896 Olympic Games in Athens, while the women’s event was first included in the competition schedule at the 1964 Olympic Games in Tokyo. This distance combines speed and endurance as well as tactics with athletes completing two laps of the stadium. The men’s race was on the Olympic Games competition schedule in 1896 in Athens, and the women’s event was included at the 1960 Olympic Games in Rome. 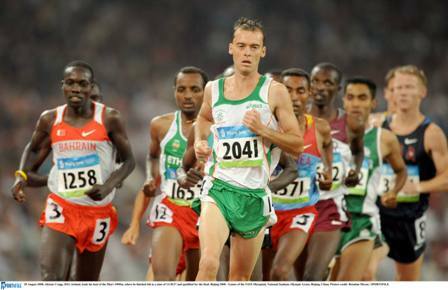 Many 800m athletes also compete in the 1500m. The 1500m was on the original programme of the 1896 Olympic Games in Athens, for men, and in 1972 Olympic Games in Munich, for women. In the ATHENS 2004 Olympic Games the Marathon will be run on its historic course, starting from the town of Marathonas and finishing in the Panathinaiko Stadium. The Marathon is run over public roads and the men’s Marathon is traditionally the final event in the programme of the Olympic Games. The history of the event goes back to 490 B.C., when the Athenians defeated the Persians at the battle of Marathon. One of the Athenians brought the news of the victory from Marathon to Athens. Running at top speed all the way, he cried “Nenikekamen” (We won), and died. The Marathon race was first run at the 1896 Olympic Games in Athens, over the historic route. The IOC wished to honour Greece’s contribution to democracy, sport and civilisation. The winner of the first Olympic Marathon race was the legendary Greek runner, Spyros Louis. Since 1924 the official distance is 42,195 m. The women’s Marathon was included in the competition schedule in the 1984 Games in Los Angeles. In the ATHENS 2004 Olympic Games the marathon will be run on its historic course. It will start in Marathonas and pass through the areas of Nea Makri, Rafina, Pikermi, Spata, Loutsa, Pallini, Anthusa, Glyka Nera, Gerakas, Agia Paraskevi, Holargos, Neo Psyhico, Papagos and Athens. It will finish in Panathinaiko Stadium. These two events take place on public roads. Both races finish in the Olympic Stadium. Each competitor runs in his or her own lane and has ten hurdles to jump. The men’s event was first run at the 1896 Olympic Games in Athens, and the women’s event made its debut at the 1932 Olympic Games in Los Angeles. The hurdles used in this event are lower than the 100 m and 110 m events. Each competitor runs in his or her own lane and has ten hurdles to jump. The men’s event was first run at the 1900 Olympic Games in Paris, while the women’s event made its debut at the 1984 Olympic Games in Los Angeles. This event involves jumping four hurdles of 91.4 cm height and an artificial water hazard. The steeplechase was included in the Olympic Games competition schedule at Paris in 1900 and was only run by men until the women’s event was introduced for the Beijing 2008 Olympic Games. Relay races can be traced to the ancient custom of sending messages via a series of couriers (skytalodromoi or ‘runners with a message stick’). Each courier handed the stick over to the next until its destination was safely reached. In the relay race there are four runners from each country. Each runner covers a quarter of the distance before handing over the baton to the next runner. Changeovers have special rules and techniques and must be made within a specified area. The 4 x 100 m and 4 x 400 m men’s relay entered the Olympic programme at the 1912 Olympic Games in Stockholm. Women’s 4 x 100 m relay was first included at the 1928 Olympic Games in Amsterdam, while 4 x 400 m relay in the 1972 Olympic Games in Monaco. The high jump and the various techniques that have been used for it over the years are mainly credited to jumpers from the USA. A competitor is excluded from the contest after three successive failed attempts, at any height. The high jump for men was placed on the Olympic programme at the 1896 Olympic Games in Athens, and for women at the 1928 Olympic Games in Amsterdam. Competitors in the pole vault use a pole to make their jump. The pole was originally made of wood.Later on, bamboo was used, and then metal. Today, state-of-the-art poles aremade of carbon-fiber. Men’s Pole-vaulting was on the Olympic programme in 1896. Women started competing at the 2000 Olympic Games in Sydney. The long jump dates from the ancient Olympic Games. The men’s long jump was on the programme of the Athens Olympic Games in 1896, and the women’s on the programme of the 1948 Olympic Games in London. The triple jump can be traced to the ancient Greek triple jump (three straightforward jumps, one after the other). The men’s Olympic event was instituted at the 1896 Olympic Games in Athens, the women’s at the 1992 Olympic Games in Barcelona. Historically this event derives from the ancient Greek sport of throwing stones. The shot is thrown from a cement throwing circle of 2.13 m diameter. The men’s shot weighs 7.26 kg and the women’s shot 4 kg. The men’s event was first included in the 1896 Olympic Games in Athens, and the women’s in the 1948 Olympic Games in London. The discus derives from the ancient Greek word “diskos”, a word that is still used to describe the discus throw today. The discus is thrown from a cement throwing circle of 2.5 m diameter. To avoid risk to the spectators, the circle is surrounded for three quarters of its perimeter with a netting cage to a height of at least 4 m. The men’s shot weighs 2 kg and the women’s shot 1 kg. 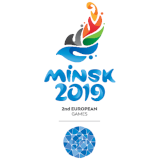 The men’s version of this event was first included at the 1896 Olympic Games in Athens, and the women’s at the 1928 Olympic Games in Amsterdam. The javelin was on the programme of the ancient Olympic Games as one of the pentathlon sports. The javelin is carried along a corridor 30 to 36.5 m long and 4 m wide, at the end of which there is an arc-shaped line to define the throwing line. The men’s javelin weighs 0.8 kg and the women’s javelin 0.6 kg. The men’s event was introduced at the 1908 Olympic Games in London, and the women’s at the Los Angeles Olympic Games of 1932. Hammer-throwing can be traced to Scotland. The heavy hammer with a long wooden handle has been replaced by an iron ball on the end of a metal wire. The hammer is thrown from a cement throwing circle of 2.13 m diameter. and spectators are protected by a netting cage. The men’s hammer weighs 7.26 kg and the women’s hammer 4 kg. The men’s event was first included at the 1900 Olympic Games in Paris, and the women’s at the 2000 Olympic Games in Sydney. The decathlon consists of 10 individual events. The competition takes place on two consecutive days. The events are: (on day 1) 100m, long jump, shot put, high jump, 400m; (on day 2) 110m hurdles, discus, pole vault, javelin, 1,500m. An athlete receives scores for each of the events. The winner is the competitor scoring the highest total of points. The decathlon was first included in the 1904 Olympic Games in St. Louis. The heptathlon is the women’s version of the decathlon. It replaced the women’s pentathlon in 1984. 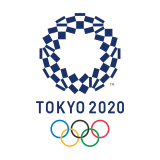 It consists of two series of events: (day 1) 100 m hurdles, high jump, shot put; (day 2) 200 m, long jump, javelin, 800 m. The event was added to the Olympic programme – as pentathlon – at the 1964 Olympic Games in Tokyo, and – as heptathlon – at the 1984 Olympic Games in Los Angeles.